Your dreams are in reach with EARN Starter. What will you save for? Free. Easy to use. Bank-level Security. We are partnering to offer you EARN Starter: a free, online savings tool that rewards you for saving every month. 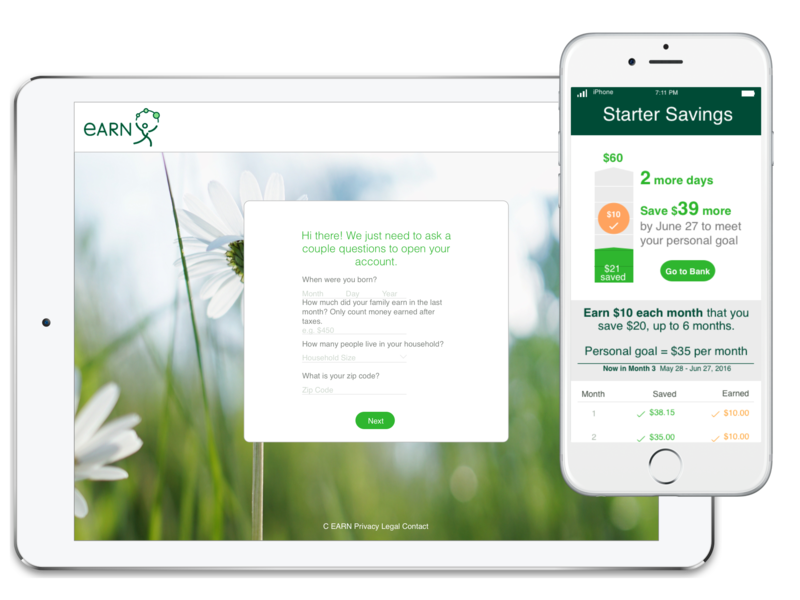 EARN Starter is a free, easy to use program that helps you save for what's most important. You can start saving in minutes. For every $20 you save, you'll get $10 in cash rewards. In just 6 months, you'll have at least $180 dollars saved from your own contribution and earned rewards. Whether you're saving to go back to school, a new house, or a trip to Hawaii, EARN will help you get there. Pick a savings goal and keep your eyes on the prize! I'm saving for my daughter's school supplies. Pick a savings goal and amount. You can save for anything you want! Save at least $20 in your account and earn $10 in rewards each month. EARN Starter is not a bank or savings account. To participate, you will need an online savings account with a bank or credit union based in the United States that connects to our savings program. Which banks do we connect to? To earn rewards, you must connect your bank account at a financial institution that is compatible with our savings program. To ensure that you get the best experience on the EARN Starter, we connect with institutions that offer the strongest and most reliable connections. Please click on the link to see the updated list of compatible banks: Which banks connect to the EARN Starter? I'm saving to build up my emergency fund. EARN Starter members exceed their goals. If you have questions about EARN Starter, want to learn more about the organization, or would like to share your saving story and be featured on the website, send us a note! We'll return your message in 1-2 business days.